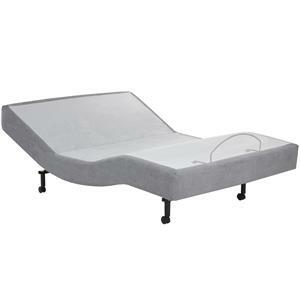 Snuggle in for a peaceful night rest with this unique adjustable base supporting your mattress. A wireless remote makes getting to the perfect position a breeze. 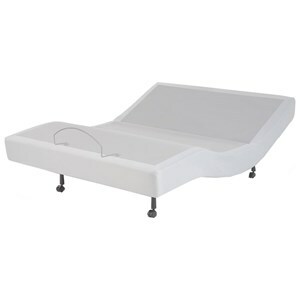 With two programmable custom positions, and dual massage with wave, this base is exactly what you have been looking for, for a restful night of sleep each and every night. The lay flat button will position you back to flat so you always have the option of resetting your sleep position. 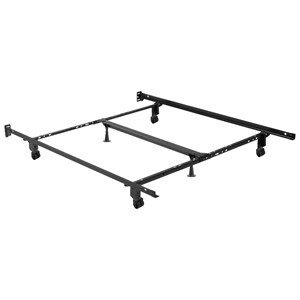 With this base in your home, you can't go wrong. 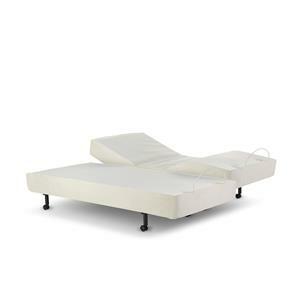 Sleep the night away in sublime comfort with this adjustable base under your mattress for the perfect sleeping platform. 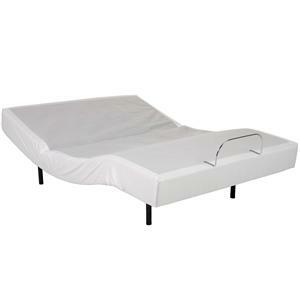 The full boxspring profile is 550 pounds total max weight, so even though this adjustable base looks like boxspring, it is so much more. 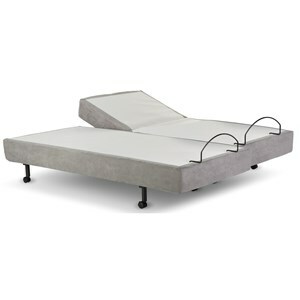 It has a wired remote so you can control the head and foot lift with ease as you lounge in bed. 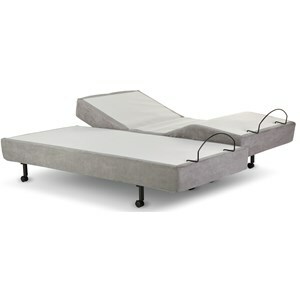 Place your mattress atop this amazingly satisfying base for the one of a kind, restful sleep you have been looking for. \ Deeply recessed legs prevent possible foot injury. 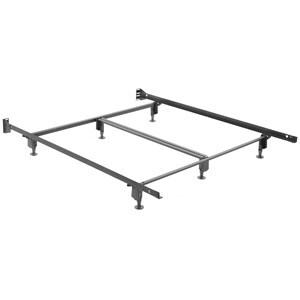 \ Riveted, extra-wide headboard brackets support virtually all headboards. \ Wedge-Lock™ assembly system becomes stronger as more weight is applied. 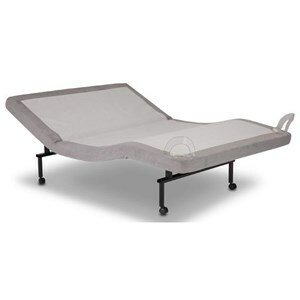 \ Double-angle center support maximizes strength and support.